Sumit Baudh is a candidate in the Doctor of Juridical Science (S.J.D.) program at the UCLA School of Law. He is also a fellow of the Center for Intersectionality and Social Policy Studies, Columbia Law School, and University of California Human Rights Fellow. Sumit earned his Master of Laws (LL.M.) from the London School of Economics, and graduated with honors as Bachelor of Laws and Arts from the National Law School of India University (NLSIU), Bangalore. He is a former British Chevening scholar and qualified to practice law in India and the United Kingdom. 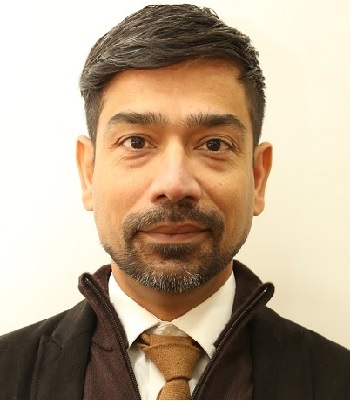 Sumit served as assistant professor and assistant director of the Centre for the Study of Social Exclusion and Inclusive Policy, NLSIU, Bangalore. He has also served as legal advisor, researcher and consultant to various national and international organizations including the Arcus Foundation, United Nations Development Program (UNDP), the Norwegian LGBT association: LLH, Astraea Lesbian Foundation for Justice, Commonwealth Human Rights Initiative and Unilever. In addition to his legal work, Sumit has published several academic articles and given scholarly presentations at conferences internationally. His areas of interest include caste, gender, sexuality and human rights. Sumit has volunteered his time and expertise to advocate for social justice causes and he has worked extensively with the Voices Against 377 to fight against structural inequalities in the Criminal Justice system in India.